1. Mold Material: S136, SKD61, H13, SKD11,2738,718,etc, High hardness alloy steel with heat treatment, wear resistance, corrosion resistance. 2. Mold Base: LKM, HASCO, DME, etc. 3. 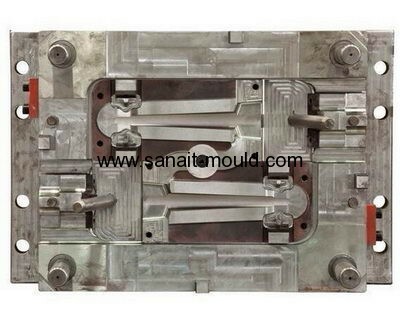 Mold Cavity: Single-cavity or Multi-cavity, as per customers’ requirement and part structure. 4. Mold Life: 300,000 shots, 1,000,000 shots. 5. Runner: Hot runner, Cold runner, as per customers’ requirement and part structure. 6. Software: UG, Proe, Solidworks, AutoCad, etc. 7. Technology Team: Designers and professional mold engineers with 20-years-experience. 8. Equipments: CNC, EDM, precision grinder, milling machine, driller, wire cutting machine, etc.